You MUST complete and submit the form online and print a copy to bring to the enrolment centre. Refer to the pdf for instructions on how to fill the form out. 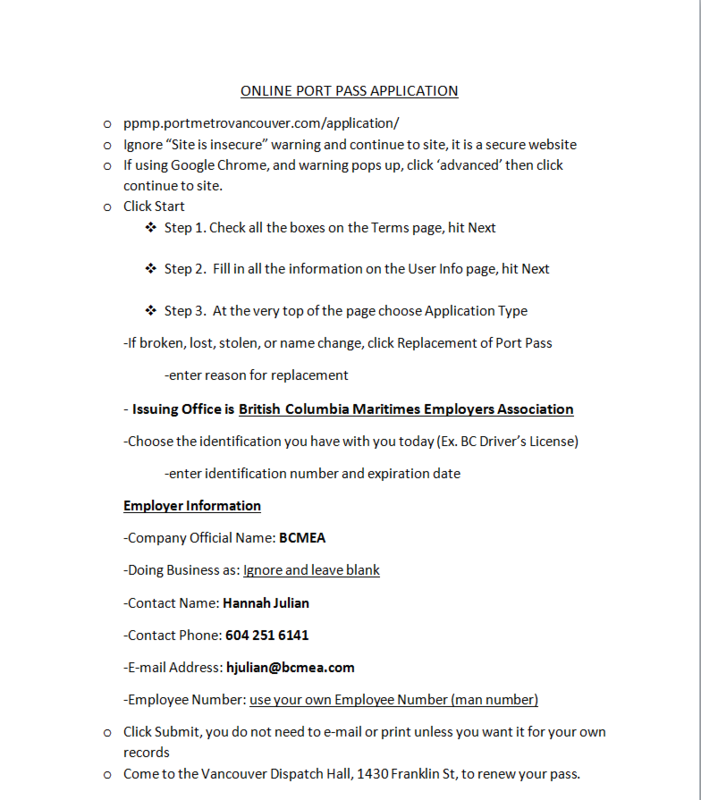 *** If you are RWF at Westshore you may renew your port pass at the Ladner Port Metro Office but you MUST call 604-665-9661 to book an appointment first. You will need to tell them that your sponsoring agent is WESTSHORE TERMINALS. The ILWU Employer Association Health and Benefit Plan.